Phoenix is an incredibly diverse metropolitan area. From downtown to uptown, and all housing communities in-between, the Phoenix Valley has a plethora of homes with just as many unique roof types. 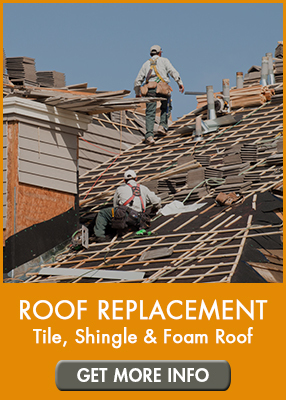 Regardless of which type of roof construction you have – tile, flat, or shingle, occasionally damage will occur. When roof repairs in Phoenix are required, you can count on AZ Roofing Works to complete your repairs efficiently, quickly, and always with a focus on quality over quantity. 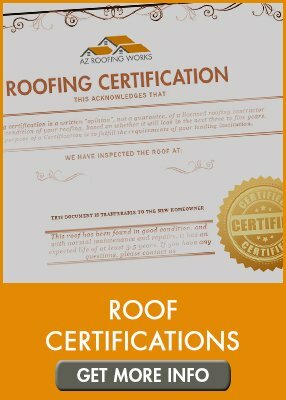 AZ Roofing Works is a bonded, licensed, and insured roofing company based in Mesa, Arizona, that has served Phoenix residential and light commercial property owners with superior roofing services. Our locally-owned roofing business offers home owners, real estate agents, and property managers high-quality roofing repair solutions. We leverage our dedication to quality over quantity, our extensive knowledge, and proven results. Our Phoenix roofing team is prompt, polite, and professional, making sure to place your safety and properties integrity and focus on superior craftsmanship. Edging Damage: Tile roof edging is a critical component of the roof structure. It’s designed to protect the roof’s deck, underlayment, and the soft material located underneath the tiles. If the edging is damaged, excessive water damage can occur during monsoon season storms. Cracked & Sliding Tiles: Tiles can crack or slide due to exposure to our harsh weather conditions or loosening because of aging. It’s also common for these problems to be caused by being struck by debris or other natural causes. While there are times when we can repair sliding tiles, those that are cracked should be replaced. Corrosion: High winds and blowing sand will cause corrosion on tile roofing materials and lead to thin or worn out tiles. When they become too thin, they will require replacement to avoid damage to underlayment materials. You’ll discover shingle roofing on a lot of older homes throughout Phoenix. The shingle materials are made from asphalt or polymers and are lighter and less durable than most other roofing materials. While this makes them more affordable to replace, it also makes them prone to damage sooner than tile or flat/foam roofs in Phoenix. Noted below are a few of the most common sources of shingle roofing damage. Buckled or Curling Shingles: Shingles are quite flexible materials, which unfortunately can warp, buckle or curl due to exposure to harsh weather conditions. Granule Loss: The outside layer of shingles is made from a granular material. As they age, the granules will begin to fall off, exposing the under layers of shingles and leading to premature wear. Reduced Ventilation: In order to allow air to flow through the attic shingle roofs also contain a few ventilation sources. If these ventilation sources are clogged or damaged, it can lead to roof leaks. Missing Shingles: The lightweight design of shingles also makes them prone to becoming loose. Our blowing winds can knock them off the roof, leading to missing shingles. The flat or foam roofs are also quite popular throughout Phoenix. These types of roofs are known for producing an elegant style and appeal. They are also incredibly energy efficient. The drawback is that the lightweight construction can lead to damage or sources of repairs. A Cracked Membrane: There are several types of materials used in flat roofs. Some of them are installed with an underlayment membrane. While they are quite durable, they can crack due to exposure to heat, excessive water damage or poor installation. Ponding Water: A flat roof requires drainage points to help remove water. If the drainage is blocked, water can pool on the roof, causing damage to membranes and other underlayment materials and possibly causing roof leaking. 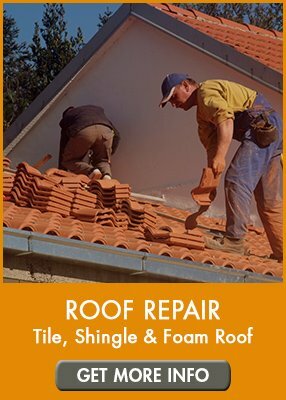 If you are in need of any roof repair service in Mesa, Chandler, Gilbert or any other Metro Phoenix location, AZ Roofing Works is ready to help you! Contact us today, either online or call our office directly at (602) 283-3383.